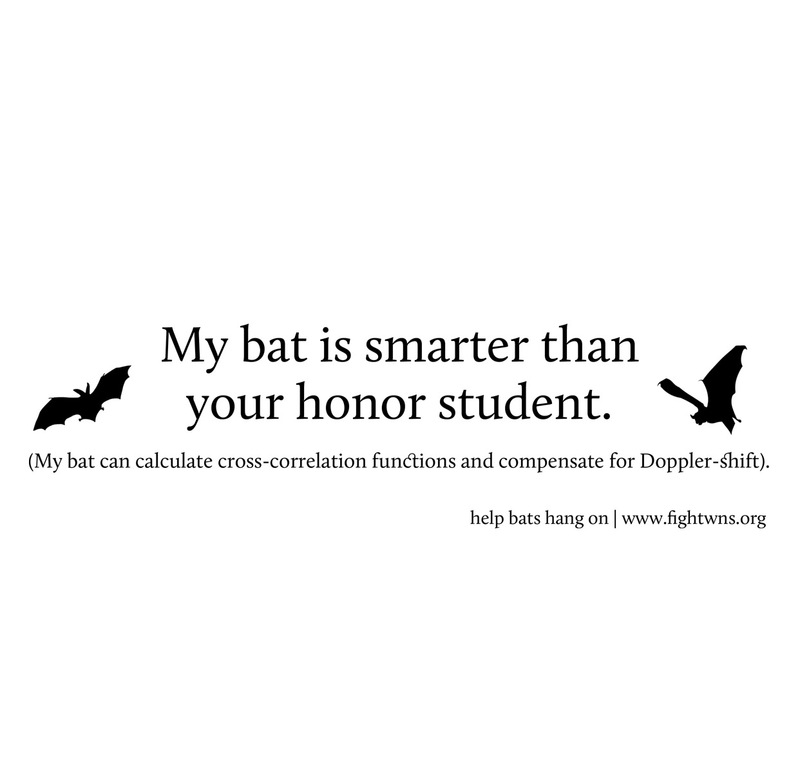 Especially for bat nerds and chiroptophilics who appreciate intelligent humor. Insectivorous bats perceive objects as acoustic images derived from echos of the ultrasonic sounds they emit. Eptesicus fuscus, who emits frequency-modulated (FM) echolocation calls, perceives its distance to prey from the delay of echoes. E. fuscus converts the shape of the echo spectrum into elements of an image, which has a structure that corresponds to the cross-correlation function between emissions and echoes (Simmons 1989). Central and South American mustache bats, and horseshoe bats of southern Europe, Africa, Asia and eastern Australia, exhibit Doppler-shift compensation behavior. During flight (i.e., relative motion), the dominant constant-frequency (CF) component of their echolocation calls shifts as a result of Doppler effects. The bats compensate for these shifts by adjusting the frequency of their subsequent calls. The ‘Doppler-shift’ compensation behavior represents one of the most precise forms of sensory-motor integration known (Metzner et al. 2002). 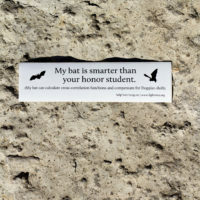 Use of the phrase “my bat” is strictly for funniness; we do not condone; in any way, shape, or form, owning wild animals as pets. Please keep wildlife wild. Seriously? You really are a bat nerd. Metzner, W., S. Zhang, and M. Smotherman. 2002. 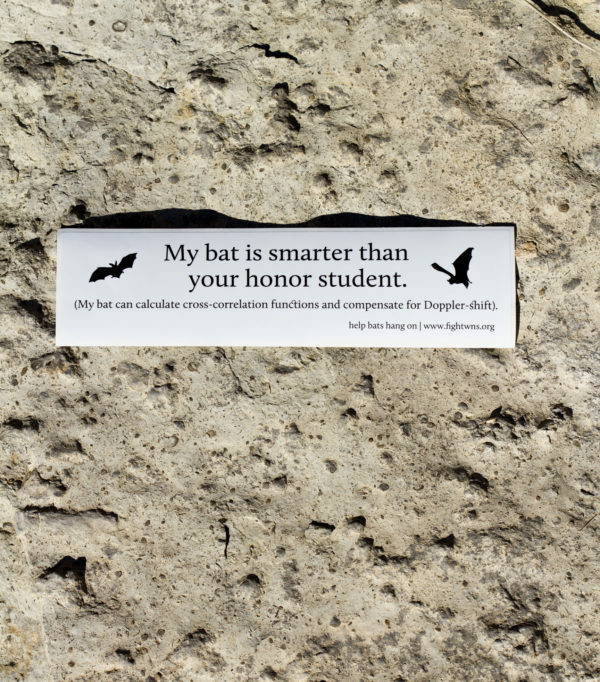 Doppler-shift compensation behavior in horseshoe bats revisited: auditory feedback controls both a decrease and an increase in call frequency. J. Exp. Biol 205, 1607-1616. Simmons, J. A. 1989. A view of the world through the bat’s ear: the formation of acoustic images in echolocation. Cognition 33, 155-199.